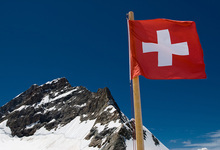 Switzerland is for various reasons one of the most important international markets for stamps and therefore ideally situated to sell your stamps. The auction surroundings in Switzerland are first class. You too could profit from it. We would be pleased to personally give you advice. Price levels in Switzerland are one of the highest worldwide. We could pick up larger items from your residence at any time. We take care of all formalities including insurance, packaging, transportation, customs, etc. No customs related limitations and no value added tax. Easy processing through our auction house.